Hello, Sei! I would like to use a sprite made by PFQ: My pfq.link: https://pfq.link/@8W8 Sprite(s): Bulbasaur Egg sprite. Usage:recolor to match pokesona (to be used in my About me/Signature) Who's making the sprite: me Thank you! I, Sei, Administrator and Art Director of Pokéfarm Q, formally grant permission to the user Bugmilk to recolor the Bulbasaur Egg sprite for the purpose of personal use. Permission is indefinite. Permission does not extend past what was stated. Permission given 13/6/2018. A screenshot of this approval message is provided in the first post under today's date. Please post this where you credit artwork (signature, journal, about me, etc. ), and make it clear that permission was given (for example, Permission to use [X] given by [url=SCREENSHOT]Sei[/url]). Hello, Sei! I would like to use a sprite made by PFQ: My pfq.link: https://pfq.link/@QZy Sprite(s): Braixen, Tsareena Usage: Recolours for OCs! Who's making the sprite: Me! Thank you! I, Sei, Administrator and Art Director of Pokéfarm Q, formally grant permission to the user Katfoxxo to recolor the Braixen and Tsareena sprites for the purpose of personal use. Permission is indefinite. Permission does not extend past what was stated. Permission given 13/6/2018. A screenshot of this approval message is provided in the first post under today's date. Please post this where you credit artwork (signature, journal, about me, etc. ), and make it clear that permission was given (for example, Permission to use [X] given by [url=SCREENSHOT]Sei[/url]). ; Female trainer sprite Usage: Recolor and edits for my sona | Recolor/edits to make a trainer sprite more like myself Who's making the sprite: Shannypopsxx (Lucario) and myself (trainer) Thank you! I, Sei, Administrator and Art Director of Pokéfarm Q, formally grant permission to the user MissingStar to request that the user Shannypopsxx edit the Melan Mega Lucario sprite and that Missingstar has permission to edit the female trainer sprite for the purpose of personal use. Permission is indefinite. Permission does not extend past what was stated. Permission given 13/6/2018. A screenshot of this approval message is provided in the first post under today's date. Please post this where you credit artwork (signature, journal, about me, etc. ), and make it clear that permission was given (for example, Permission to use [X] given by [url=SCREENSHOT]Sei[/url]). Hello, Sei! I would like to use a sprite made by PFQ: My pfq.link: https://pfq.link/@lgS Sprite(s): albino/melan purrloin, albino/melan throh, & albino/melan scrafty. Usage: to make albino and melan versions of this Who's making the sprite: me Thank you! I, Sei, Administrator and Art Director of Pokéfarm Q, formally grant permission to the user PurpleTiger to edit the albino and melan purrlion, albino and melan throh, and albino and melan scrafty sprites for the purpose of personal use. Permission is indefinite. Permission does not extend past what was stated. Permission given 13/6/2018. A screenshot of this approval message is provided in the first post under today's date. Please post this where you credit artwork (signature, journal, about me, etc. ), and make it clear that permission was given (for example, Permission to use [X] given by [url=SCREENSHOT]Sei[/url]). Hello, Sei! I would like to use a sprite made by PFQ: My pfq.link: https://pfq.link/@Vmy Sprite(s): albino orkit Usage: recolor for personal use around pfq Who's making the sprite: me Thank you! I, Sei, Administrator and Art Director of Pokéfarm Q, formally grant permission to the user peachimaris to edit the albino orkit sprite for the purpose of personal use. Permission is indefinite. Permission does not extend past what was stated. Permission given 13/6/2018. A screenshot of this approval message is provided in the first post under today's date. Please post this where you credit artwork (signature, journal, about me, etc. ), and make it clear that permission was given (for example, Permission to use [X] given by [url=SCREENSHOT]Sei[/url]). Hello, Sei! I would like to use a sprite made by PFQ: My pfq.link: https://pfq.link/@8Pv Sprite(s): litten Usage: recolor (+edit, maybe) Who's making the sprite: me Thank you! I, Sei, Administrator and Art Director of Pokéfarm Q, formally grant permission to the user rêveur to edit the litten sprite for the purpose of personal use. Permission is indefinite. Permission does not extend past what was stated. Permission given 13/6/2018. A screenshot of this approval message is provided in the first post under today's date. Please post this where you credit artwork (signature, journal, about me, etc. ), and make it clear that permission was given (for example, Permission to use [X] given by [url=SCREENSHOT]Sei[/url]). Hello, Sei! I would like to use a sprite made by PFQ: My pfq.link: https://pfq.link/@61L Sprite(s): Rockruff Usage: Edit (adding items) for personal use Who's making the sprite: Shannypopsxx in their shop Thank you! I, Sei, Administrator and Art Director of Pokéfarm Q, formally grant permission to the user Magalia323 to edit the Rockruff sprite for the purpose of personal use. Permission is indefinite. Permission does not extend past what was stated. Permission given 13/6/2018. A screenshot of this approval message is provided in the first post under today's date. Please post this where you credit artwork (signature, journal, about me, etc. ), and make it clear that permission was given (for example, Permission to use [X] given by [url=SCREENSHOT]Sei[/url]). I, Sei, Administrator and Art Director of Pokéfarm Q, formally grant permission to the user xaandiir to request that the user CSY use the Sylveon and Fennekin sprite for the purpose of a banner. Permission is indefinite. Permission does not extend past what was stated. Permission given 13/6/2018. A screenshot of this approval message is provided in the first post under today's date. Please post this where you credit artwork (signature, journal, about me, etc. ), and make it clear that permission was given (for example, Permission to use [X] given by [url=SCREENSHOT]Sei[/url]). My pfq.link: https://pfq.link/@hw4 Sprite(s): Alolan Ninetails, Alolan Vulpix Usage: Edit for personal use (It's for a sona) Who's making the sprite: I am edit: Sorry, I forgot to add vulpix the first time, my bad. 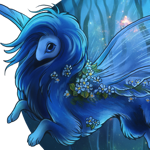 I, Sei, Administrator and Art Director of Pokéfarm Q, formally grant permission to the user Lia to edit the Alolan Ninetales, Alolan vulpix sprite for the purpose of personal use. Permission is indefinite. Permission does not extend past what was stated. Permission given 13/6/2018. A screenshot of this approval message is provided in the first post under today's date. Please post this where you credit artwork (signature, journal, about me, etc. ), and make it clear that permission was given (for example, Permission to use [X] given by [url=SCREENSHOT]Sei[/url]). Hello, Sei! I would like to use a sprite made by PFQ: My pfq.link: https://pfq.link/@jDN Sprite(s): Fletchling, Talonflame Usage: fusion (with each other, no other pokemon are involved) and recolour, personal use (mostly private use tbh but I might wanna show it in a PM or something) Who's making the sprite: me Thank you! I, Sei, Administrator and Art Director of Pokéfarm Q, formally grant permission to the user Taløn to edit the Fletchling and Talonflame sprites for the purpose of personal use. Permission is indefinite. Permission does not extend past what was stated. Permission given 13/6/2018. A screenshot of this approval message is provided in the first post under today's date. Please post this where you credit artwork (signature, journal, about me, etc. ), and make it clear that permission was given (for example, Permission to use [X] given by [url=SCREENSHOT]Sei[/url]). Hello, Sei! I would like to use a sprite made by PFQ: My pfq.link: https://pfq.link/@pnR Sprite(s): Mega Pidgeot Usage: Lineless edit for personal use Who's making the sprite: HeyItzJake in their shop Thank you! I, Sei, Administrator and Art Director of Pokéfarm Q, formally grant permission to the user C10H12N2O to request that the user HeyItzJake edit the Mega Pidgeot sprite for the purpose of personal use. Permission is indefinite. Permission does not extend past what was stated. Permission given 13/6/2018. A screenshot of this approval message is provided in the first post under today's date. Please post this where you credit artwork (signature, journal, about me, etc. ), and make it clear that permission was given (for example, Permission to use [X] given by [url=SCREENSHOT]Sei[/url]). Hello, Sei! I would like to use a sprite made by PFQ: My pfq.link: https://pfq.link/@1Dp Sprite(s): Mega Charizard X, Y; Alolan Meowth, Persian; Mega Alakazam; Alolan Geodude, Graveler, Golem; Mega Gengar; Mega Gyarados; Sylveon Usage: Recoloring for a personal-use skin which may be handed out to some friends. Who's making the sprite: BrindleFinch (Myself) Thank you! If your friends will be using these, they need to ask for permission. This is also 11 sprites, which is over the limit of 10. Hello, Sei! I would like to use a sprite made by PFQ: My pfq.link: https://pfq.link/@7sj Sprite(s): Lurantis Usage: Recolor Who's making the sprite: Bugmilk in their shop Thank you! I, Sei, Administrator and Art Director of Pokéfarm Q, formally grant permission to the user Piffposh to request that the user Bugmilk recolor the Lurantis sprite for the purpose of personal use. Permission is indefinite. Permission does not extend past what was stated. Permission given 13/6/2018. A screenshot of this approval message is provided in the first post under today's date. Please post this where you credit artwork (signature, journal, about me, etc. ), and make it clear that permission was given (for example, Permission to use [X] given by [url=SCREENSHOT]Sei[/url]). Hello, Sei! I would like to use a sprite made by PFQ: My pfq.link: Devil0356 Sprite(s): Luckoo Usage:Pokemon fusion sprite Who's making the sprite: Bugmilk Thank you! Also as a curiousity: Would permission be required for borrowing the colour schemes of a PFQ exclusive for a recolour of a sprite that was not made by pfq? Like colouring a pidgey with the colours used in luckoo etc. Hello, Sei! I would like to use a sprite made by PFQ: My pfq.link: https://pfq.link/@F5x Sprite(s): Melanistic Magikarp and Melanistic Gyrados Usage: Making a thread banner and advertisement banner Who's making the sprite: I am. I, Sei, Administrator and Art Director of Pokéfarm Q, formally grant permission to the user W.D.Gaster to use the Melanistic Magikarp and Melanistic Gyarados sprites for the purpose of a banner. Permission is indefinite. Permission does not extend past what was stated. Permission given 13/6/2018. A screenshot of this approval message is provided in the first post under today's date. Please post this where you credit artwork (signature, journal, about me, etc. ), and make it clear that permission was given (for example, Permission to use [X] given by [url=SCREENSHOT]Sei[/url]). I, Sei, Administrator and Art Director of Pokéfarm Q, formally grant permission to the user thedorkychicken to recolor the Aytheraye sprite for the purpose of personal use. Permission is indefinite. Permission does not extend past what was stated. Permission given 13/6/2018. A screenshot of this approval message is provided in the first post under today's date. Please post this where you credit artwork (signature, journal, about me, etc. ), and make it clear that permission was given (for example, Permission to use [X] given by [url=SCREENSHOT]Sei[/url]). Hello, Sei! I would like to use a sprite made by PFQ: My pfq.link: https://pfq.link/@gjr Sprite(s): Kinaster Usage: Recolor and Angelic at bugmilks sprite shop. (for possible oc?) Who's making the sprite: Bugmilk in theyre shop. Thank you! I, Sei, Administrator and Art Director of Pokéfarm Q, formally grant permission to the user ThunderGod to request that the user Bugmilk recolor and the Kinaster sprite for the purpose of personal use. Permission is indefinite. Permission does not extend past what was stated. Permission given 13/6/2018. A screenshot of this approval message is provided in the first post under today's date. Please post this where you credit artwork (signature, journal, about me, etc. ), and make it clear that permission was given (for example, Permission to use [X] given by [url=SCREENSHOT]Sei[/url]). Hello, Sei! I would like to use a sprite made by PFQ: My pfq.link: https://pfq.link/@cKv Sprite(s): Noivern Usage: Recolor Who's making the sprite: Me Thank you! I, Sei, Administrator and Art Director of Pokéfarm Q, formally grant permission to the user Frûçtøsê to recolor the Noivern sprite for the purpose of personal use. Permission is indefinite. Permission does not extend past what was stated. Permission given 13/6/2018. A screenshot of this approval message is provided in the first post under today's date. Please post this where you credit artwork (signature, journal, about me, etc. ), and make it clear that permission was given (for example, Permission to use [X] given by [url=SCREENSHOT]Sei[/url]). Hello, Sei! I would like to use a sprite(s) made by PFQ: My pfq.link: https://pfq.link/@_rN Sprite(s): Salandit Usage: Recolor for my about me Who's making the sprite: SwirlingInferno shop My pfq.link: https://pfq.link/@_rN Sprite(s): Salazzle Usage: Recolor for my about me Who's making the sprite: Bugmilk shop Thank you! I, Sei, Administrator and Art Director of Pokéfarm Q, formally grant permission to the user XØXØ to request that the user SwirlingInferno recolor the Salandit sprite for the purpose of personal use. Permission is indefinite. Permission does not extend past what was stated. Permission given 13/6/2018. A screenshot of this approval message is provided in the first post under today's date. Please post this where you credit artwork (signature, journal, about me, etc. ), and make it clear that permission was given (for example, Permission to use [X] given by [url=SCREENSHOT]Sei[/url]). I, Sei, Administrator and Art Director of Pokéfarm Q, formally grant permission to the user XØXØ to request that the user Bugmilk edit the Salazzle sprite for the purpose of personal use. Permission is indefinite. Permission does not extend past what was stated. Permission given 13/6/2018. A screenshot of this approval message is provided in the first post under today's date. Please post this where you credit artwork (signature, journal, about me, etc. ), and make it clear that permission was given (for example, Permission to use [X] given by [url=SCREENSHOT]Sei[/url]). Hello, Sei! I would like to use a sprite made by PFQ: My pfq.link: https://pfq.link/@tNJ Sprite(s): Litleo, Mega Pyroar Usage: Recoloring Who's making the sprite: Me ^^ Thank you! I, Sei, Administrator and Art Director of Pokéfarm Q, formally grant permission to the user DemonZorua to recolor the Litleo and Mega Pyroar sprites for the purpose of personal use. Permission is indefinite. Permission does not extend past what was stated. Permission given 13/6/2018. A screenshot of this approval message is provided in the first post under today's date. Please post this where you credit artwork (signature, journal, about me, etc. ), and make it clear that permission was given (for example, Permission to use [X] given by [url=SCREENSHOT]Sei[/url]). I, Sei, Administrator and Art Director of Pokéfarm Q, formally grant permission to the user ChåråDrëëmürr777 to request that the user Chronos recolor the Mega Zoroark sprite for the purpose of Personal use. Permission is indefinite. Permission does not extend past what was stated. Permission given 13/6/2018. A screenshot of this approval message is provided in the first post under today's date. Please post this where you credit artwork (signature, journal, about me, etc. ), and make it clear that permission was given (for example, Permission to use [X] given by [url=SCREENSHOT]Sei[/url]). I, Sei, Administrator and Art Director of Pokéfarm Q, formally grant permission to the user MidnightWölff to request that the user Ashtylon recolor the Mega Floatzel sprite for the purpose of personal use. Permission is indefinite. Permission does not extend past what was stated. Permission given 13/6/2018. A screenshot of this approval message is provided in the first post under today's date. Please post this where you credit artwork (signature, journal, about me, etc. ), and make it clear that permission was given (for example, Permission to use [X] given by [url=SCREENSHOT]Sei[/url]). Hello, Sei! I would like to use a sprite made by PFQ: My pfq.link: https://pfq.link/@Ngr Sprite(s): Albino Suicune Usage: I'd like to make pride icons for my personal use on Discord! (I looked around and couldn't see anything written specifically about icons with flags behind them, or if that even qualifies as sprite editing? Apologies if I overlooked something ^^; ) Who's making the sprite: I am! Thank you! I, Sei, Administrator and Art Director of Pokéfarm Q, formally grant permission to the user nerdofnerds to use the Albino Suicune sprite for the purpose of a Discord Icon. Permission is indefinite. Permission does not extend past what was stated. Permission given 13/6/2018. A screenshot of this approval message is provided in the first post under today's date. Please post this where you credit artwork (signature, journal, about me, etc. ), and make it clear that permission was given (for example, Permission to use [X] given by [url=SCREENSHOT]Sei[/url]). What are these being fused with? I need this information. if it's for your friend, and if they're on site, they need to request permission, unless it's a gift. Please clarify this. Hello, Sei! I would like to use a sprite made by PFQ: My pfq.link: https://pfq.link/@fxR Sprite(s): Rowlet Usage: Coloring practice, potential use for a friend for personal use. Who's making the sprite: Me Thank you! I, Sei, Administrator and Art Director of Pokéfarm Q, formally grant permission to the user vxctini to fuse the Kinaster sprite with Eevee for the purpose of personal use. Permission is indefinite. Permission does not extend past what was stated. Permission given 13/6/2018. A screenshot of this approval message is provided in the first post under today's date. Please post this where you credit artwork (signature, journal, about me, etc. ), and make it clear that permission was given (for example, Permission to use [X] given by [url=SCREENSHOT]Sei[/url]). Hello, Sei! I would like to use a sprite made by PFQ: My pfq.link: https://pfq.link/@xSY Sprite(s): Mega Absol Usage: Recolor Who's making the sprite: Bugmilk (here) My pfq.link: https://pfq.link/@xSY Sprite(s): Inkay Usage: Sprite Edit Who's making the sprite: nyanskitty (here) Thank you! I, Sei, Administrator and Art Director of Pokéfarm Q, formally grant permission to the user Jalakins to request that the user Bugmilk recolor the Mega Absol sprite for the purpose of personal use. Permission is indefinite. Permission does not extend past what was stated. Permission given 13/6/2018. A screenshot of this approval message is provided in the first post under today's date. Please post this where you credit artwork (signature, journal, about me, etc. ), and make it clear that permission was given (for example, Permission to use [X] given by [url=SCREENSHOT]Sei[/url]). I, Sei, Administrator and Art Director of Pokéfarm Q, formally grant permission to the user Jalakins to request that the user Nyanskitty edit the Inkay sprite for the purpose of personal use. Permission is indefinite. Permission does not extend past what was stated. Permission given 13/6/2018. A screenshot of this approval message is provided in the first post under today's date. Please post this where you credit artwork (signature, journal, about me, etc. ), and make it clear that permission was given (for example, Permission to use [X] given by [url=SCREENSHOT]Sei[/url]). Hello, Sei! I would like to use a sprite made by PFQ: My pfq.link: https://pfq.link/@cQP Sprite(s): Pangoro Usage: Edit and recolor, and for personal use as pfq avatar/banner Who's making the sprite: Me Thank you for your time reading this. I, Sei, Administrator and Art Director of Pokéfarm Q, formally grant permission to the user Am Hydra to edit the Pangoro sprite for the purpose of personal use. Permission is indefinite. Permission does not extend past what was stated. Permission given 13/6/2018. A screenshot of this approval message is provided in the first post under today's date. Please post this where you credit artwork (signature, journal, about me, etc. ), and make it clear that permission was given (for example, Permission to use [X] given by [url=SCREENSHOT]Sei[/url]). and secondly would i be allowed to make a giant art post for these and let people use them if they wish too ? of course with proper credit being given from both myself and whoever uses the sprites. The only sprites that i will not be animating will be any of the pokefarm exclusive pokemon (like Lunupine, wagell, ect.) and any of the pokefarm megas, and of course i will only be doing 10 sprites at a time, like you stated you do not allow a person to use every sprite all at once. Thank you for taking the time to read this, my apologies if anything sounds confusing, once again im sorry to disturb you! If i can't do this then that will be perfectly okay with me, thank you for your time again! I'll have to decline this since it falls under Blanket Permission. If I left a note under your permission request with corrections or questions, PLEASE REPOST YOUR FORM WITH WHAT WAS REQUESTED. Do NOT edit your previous post or tell me about edits/ answer my question without posting corrections to the form - this will only result in me ignoring your post and reposting this message - I promise it's not out of malice. It's just easier than going back 'x' number of posts. Hello, Sei! I would like to use a sprite made by PFQ: My pfq.link: Devil0356 Sprite(s): Luckoo Usage:Pokemon fusion sprite Who's making the sprite: Bugmilk Thank you! Also as a curiousity: Would permission be required for borrowing the colour schemes of a PFQ exclusive for a recolour of a sprite that was not made by pfq? Like colouring a pidgey with the colours used in luckoo etc. Edit: Repost with proper link. Hello, Sei! I would like to use a sprite made by PFQ: My pfq.link: https://pfq.link/@8gj Sprite(s): Mega furret Q, Luckoo, Mega Jumpluff Q, Peekoo, Rowlet, Sylveon Usage: Recoloring and edits (adding things) Fusing Sylveon with Dragonair Who's making the sprite: Me Thank you! 261/1000 Death Wings Until Hunt! Hiya! I wanted to know if it'd be okay to use a couple of sprites, just for some fun and to help with art block! My pfq.link: https://pfq.link/Creepyponylover Sprite(s): Amaura/Aurorus and Tyrunt/Tyrantrum Usage: Amaura/Aurorus to be fused with Yamask/Cofagrigus and Tyrunt/Tyrantrum fused with Venipede/Scolipede (I may have had these written down for a while) Who's making the sprite: Myself~! Hello, Sei! I would like to use a sprite made by PFQ: My pfq.link: https://pfq.link/@8-B Sprite(s): Braixen Usage: Edit for Pokesona and personal use Who's making the sprite: Bugmilk in their shop Thank you! My pfq.link: https://pfq.link/@3zB Sprite(s): Rowlet line (Rowlet, Dartrix, and Decidueye) Usage: Recolors for personal use for a friend (SammyB) in avatar/signature/profile. This is intended as a gift, that's why I am asking. I can have them do it but it would spoil the surprise ^^;. Who's making the sprite: Me My pfq.link: https://pfq.link/@3zB Sprite(s): Rockruff and shiny Rockruff Usage: Recolors for personal use as well as use in a shop banner/post template. Who's making the sprite: Me I also had another question I looked for the answer to but could not find. Do we need to request permission to use/edit the miniature sprites for each pokemon as well? The ones that appear for the pkmn code, like this . Edit: Thank you Piano! I was planning a banner where I may want to use the little sprite for the shiny version, so I guess I'd still better ask permission ^^. With the smaller sprites you mentioned, unless they're a PFQ-Exclusive or a PFQ-Variant or perhaps Shiny colored, permission is not required as those are official Game Freak-created sprites. Hiya!I loaf art made by my pokesona(pfp),so if you have some art ready to sell, send an example in PM!I also collect ! Avatar made by Ruby Illustrations! Please send interactions with this guy. code-hercules background dont forget icon credit! Hi Sei!! I recently edited an animated official pokemon sprite of litwick, and made the colors look like the albino version of litwick. I wanted to ask if i needed permission since it is pokefarm's property and stuff i won't be using this sprite edit gif on any other website other than pokefarm, would that be okay? profile picture and sprite edit done by me!! please check out my art shop, i'd really appreciate it! !